2Chemistry Department, Faculty of Science, Mansoura University, 35516-Mansoura, Egypt. 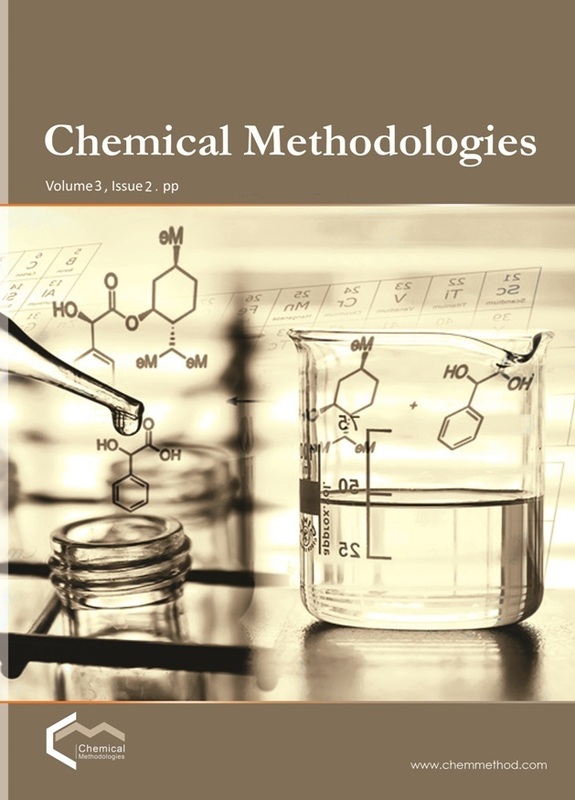 Different association parameters were evaluated for saturated paratoluic acid in the binary mixtures of ethanol-water at different temperatures by measuring the molal solubility and the mean activity coefficient. From the experimental solubility, pH, density data:- molar, Van der Waals, electrostriction, apparent molar volumes, dissociation constants, and association constants of paratoluic acid were estimated in order to estimate the contributions of solute-solvent interactions related to ion association. The saturated solution of paratoluic acid in the binary solvent mixtures of ethanol–water is perfectly non-ideal due to the mean activity coefficient of ions in the solution and partly due to the ion association phenomenon It was observed from the different volume values that all volumes for paratoluic acid were increased by increasing ethanol content in the mixed solvent due mainly to the higher solvation. It was concluded that the solute-solvent interaction increased by increasing ΔΔG and ΔGs due mainly to the increase in the association parameters in the corresponding solvents. Budavari S., Ed. 1996. The Merck Index: An Encyclopedia of Chemicals, Drugs and Biologicals, 12th ed. ; Merck Co. Inc.: Whitehouse Station, NJ. Robert C.W.. Jeanette G.G. Handbook of Data on Organic Compounds, 2nd ed. ; CRC Press: Boca Raton, FL; 1985, p 2. Yang Z.J., Hu H.B., Zhang X.H., Xu Y.Q. J. Chem. Eng. Data., 2007, 52:184-5. Kolthoff I.M., Chantooni M.K. J. Am. Chem. Soc., 1965, 87:4428. Kolthoff I.M., Chantooni M.K., Bhownik S.J. Am. Chem. Soc., 1968, 90:123. Aleksandrov V.V., Zudochkina A.I., Sandovinchaya L.P. Zh. Fiz. Khim. 1978, 52:1295. Chemistry in Solutions) (Nauka, Moscow, 1972. Kreshkov A.P., Tanganor B.B., Yarovenko A.N., Batoreva T. Kh. Zh. Fiz. Khim. 1980, 54:105. El-Khouly A.A., Gomaa E.A., Abou-El-Leef S. Bull. Electrochem , 2003, 19:153. Kim J.I.Z. Phys. Chem., Neue Folge, 1978, 113:129. Oswal S.L. Desai J.S. Ijardar S.P., Jain D.M. J. Mol. Liquids, 2009, 144:108. Bobicz D., Grzybkowski W., Lwandowski A. J. Mol. Liquids, 2003, 105:93. Marcus Y. The properties of solvents, 3rd ed. John Wiley & Sons, New York; 1999. Bondi A. J. Phys. Chem., 1964, 68:441. Weiner P.K., Kollman P.A. J. Comp. Chem., 1981, 2:287. Brooks B.R., Bruccoleri R.E., Olafson B.D.D., States J., Swaminathan S., Karplus M. J. Comp. Chem. 1983, 4:187. Simha R., Carri G. J. Polymer Sci. Part B. 1994, 32:2645. Olson R.M., Marenich A.V., Cramer C.J., Truhlar D.G. J. Chem. Theory Comput. 2007, 3:2046. Pauling L. The nature of the chemical bond and the structure of molecules and crystals: An introduction to modern structural chemistry. 3rd ed Cornell University Press; Ithaka, NY: 1960. Moelwyn-Hughes E.A. Physikalische Chemie (George Thieme Verlag, Stuttgart, 1970, p. 489. Gomaa E.A., Mousa M.A., El-Khouly A.A. Thermochim. Acta, 1985, 89:133.